You want award-winning firepower? It's all in here. 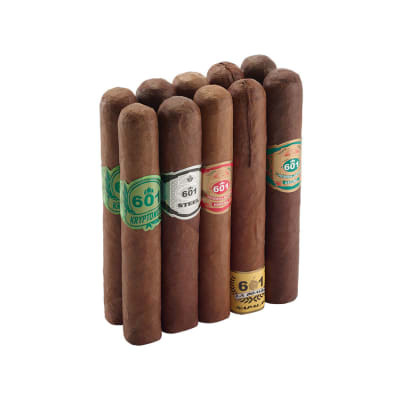 601 cigars enjoy consistently high ratings, and are a go-to for smokers who prefer a fuller flavor. 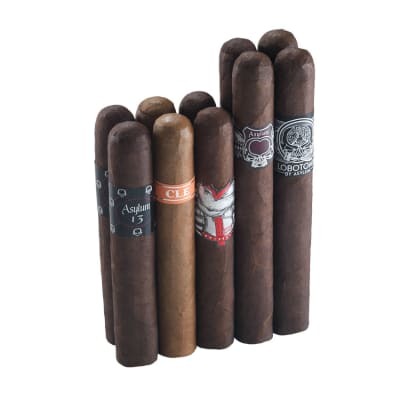 You get a pair-each of five savory 601 blends, including the White Label and the HOT new La Bomba. Order now, buy with confidence, and save! You can t go wrong with any 601! 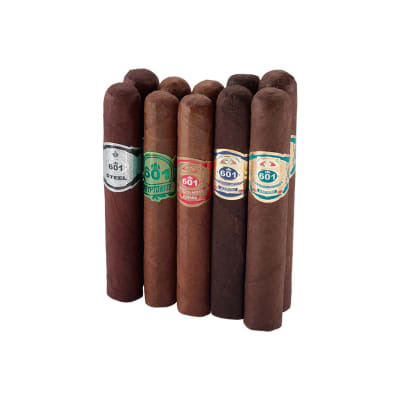 I have been a fan of the whole 601 line for some time now, however the 601 blue is my definite favorite. 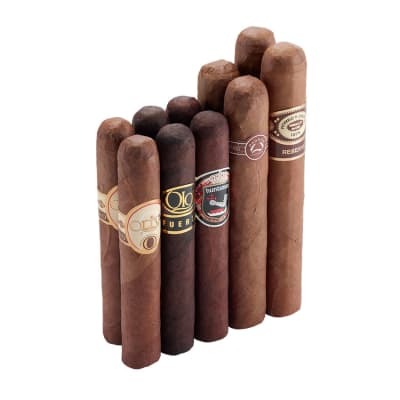 The deep rich earthy flavors are fantastic, great draw clean burn, one of my favorite cigars! Would buy again. The kryptonites were avg however. 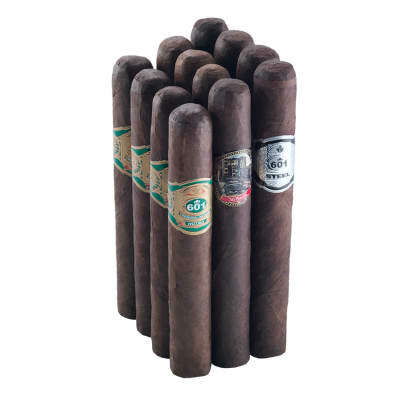 Well made robustos that give off smoke however, with the exception of the red label and perhaps the steel, this brand is too strong for me.